The reinterpretation of Václav Hájek’s (z Libočan) famous testimony of 1541, based on linguistic and contextual analysis, discovers the path-breaking perspectives in Skaryna Studies – from the date of his death (1551 / early1552) to Skaryna’s acquaintances and even his possible participation in Czech translation of S. Münster’s Cosmography. Ilya Lemeškin does not follow the traditional Chrestomathy (Francysk Skaryna ì âgo čas: èncyklapedyčny davednìk /Францыск Скарына і яго час: энцыклапедычны даведнік. Minsk : Belaruskaâ saveckaâ èncyklapedyâ / Беларуская савецкая энцыклапедыя, 1988), and refers not to the reprint of the nineteenth century by Jan Beckovsky of Václav Hájek’s narration, but turns directly to Václav Hájek’s original. Redefinition of this source as a sort of “newspaper” of publicist character reflects Václav Hájek’s personal perception of this tragedy of the Prague fire, and the highly probable relationship between B. Hajek and F. Skaryna. On the other hand, a comparative analysis of the original edition of Hajek’s testimony and its reeditions of Augsburg allows us to revise the translation. It is proved that the previously generally accepted translation of pacholatko and niekdy as “infant” / “child” and “in the past” respectively, is incorrect. As a result, the famous fragment should be translated: “In the house of the priest Jan de Pouchov were burned: Magdalena the cook, Frantisek the apprentice that was the son of doctor Rus, and another young servant”. This translation resolves the scientific misunderstanding – A. Florovsky’s hypothesis of Skaryna’s early death before the year 1541, which was based only on the old (inaccurate) translation. F. Skaryna died in the late 1551 or early 1552. 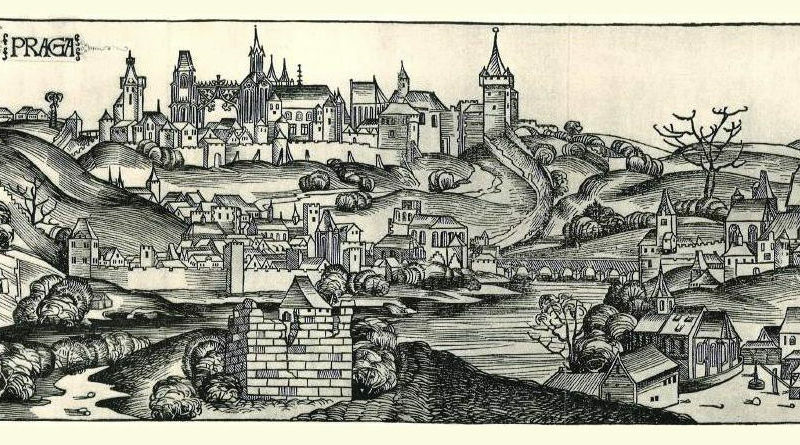 The testimony of V. Hajek relates that the eldest son of Skaryna died in Prague fire in 1541, and that he was at that time apprentice of the doctor of theology, canon of the Prague Cathedral, future publisher of Czech books (such as S. Münster’s Cosmography) Jan de Pouchov (Johannes Podbradský), what in itself witnesses Francysk Skaryna’s personal contacts. Ilya Lemeshkin (also Ilja Lemeškin) Habil. Doctor, Associate professor of Charles University in Prague, Research Fellow of the Research Centre of Baltic Language and Onomastics, Institute of Lithuanian Language (Vilnius). Vice President of the Prague Linguistic Circle. Philologist, historian, author and scientific editor of numerous publications in the field of Baltic and Slavic philology, studies of the Old Prussian language, Ruthenian language and literature, history of the Grand Duchy of Lithuania and Francysk Skaryna Studies.